Are you looking for the perfect Keller TX Self Defence Classes, but you’re not sure where you need to go? Perhaps you’re interested in developing your skills for self-defense maneuvering, but you don’t know how you’re going to go about this. 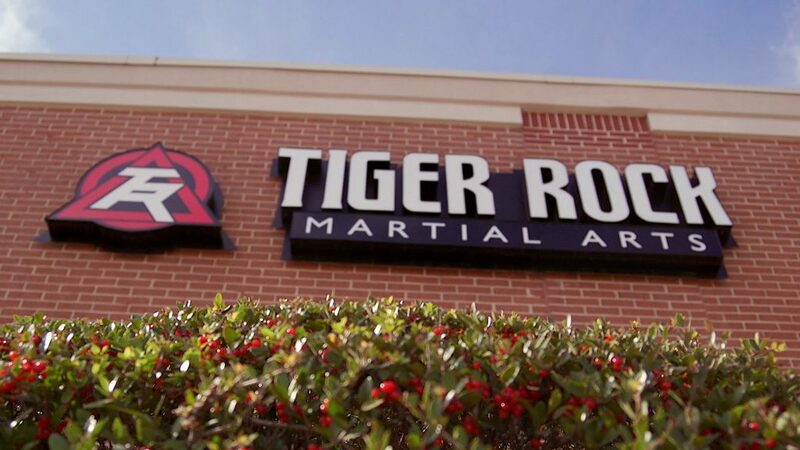 If you can’t seem to get out of it alone and you’re ready to find the help you deserve, Tiger-Rock Martial Arts of Keller is here to help. Our team of experts is prepared to guide you through your struggles and provide you with the top-notch assistance you’re searching for. In today’s society, you never know when trouble might strike. A lot of people walk home from work alone and even more take regular strolls around the park or neighborhood area. While you might feel like you’re completely safe during these instances, the unfortunate truth is that criminals are in every community. Even the best neighborhoods and towns have assailants who want nothing but the worst for local citizens. If you’re worried about not knowing what to do when things like this happen, we’re here to help. Our self-defense classes will give you the experience you’ll need to fight off threats like these. We incorporate high-intensity instances and exercises into our programs. While these can never replace real-life happenings, they’ll give you a great look into what to do when a foe approaches you. In real life, you might not always have time to think and map out a plan to overcome a potential assault. By training at Tiger-Rock regularly, we will help you develop your instincts and build your mind into a shield that can ward off threats. Our Keller TX Self Defence Classes are a great source of exercise for you. Are you someone who’s afraid to learn Taekwondo or self-defense because you fear that you’re not physically capable of it? Maybe you continue to doubt your physicality and you don’t know what to do about it. While you have to start somewhere, it won’t be as bad as what you’re expecting if you trust TRMA to help you. Our professionals know that these problems can overcome even the most disciplined of people, and we’re ready to help you. By regularly participating in our classes, you’ll be able to enjoy exercise that will help you develop your strength, speed, and stamina. Many of our students report improvements in their physical capabilities after only weeks of consistent training. You’re probably a person who wants to get the most out of your classes and courses. If this sounds like you and you’re not sure what you need to do about it, know that you’ll always be able to trust TRMA. We have the resources and programs you’ll need to succeed. Our courses are for everybody. 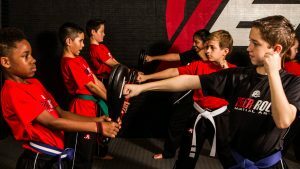 Do you have children who want to get into martial arts? If so, our Tiger-Cubs program is perfect for them. Geared towards ages 4-6, this will give your toddlers a way to be involved in a challenging yet fun class. These 30-minute intervals are full of danger awareness training, exercise, and other forms of age-appropriate martial arts. We also have programs for teenagers and adolescents along with our regular adult classes. Your whole family will be able to get better if you enroll here at TRMA! Are you currently training with a dojo that can’t seem to get it together? Perhaps you’re currently dealing with surcharges that are inflating the price you pay and you’re sick of it. Maybe you’re stuck in a long-term contract that isn’t benefiting you in any way whatsoever. These are very common problems that people have with karate classes in Keller TX, but you can count on Tiger-Rock to be different. Retaining our students’ trust and respect is important to us, and we want you to feel like you’re succeeding when you invest in our program. You can expect consistent, transparent billing when you come to TRMA. We don’t believe in hidden fees, and we’re very upfront with the how much you pay to access our resources. Furthermore, we will never try to stick you into a long-term, legally binding contract that reduces your flexibility. We want our students to freely train without worrying about extracurricular concerns like these. There are no distractions in our dojo, and we put you in a position to focus and succeed. Are you someone that’s currently dealing with a schedule that’s almost impossible to deal with? Perhaps your workday changes on a daily basis, and you don’t know how you’re going to consistently train. If this is a concern of yours, you’ll be incredibly glad to know that you’ll be able to train at a medley of different times here. We have a plethora of timeslots, and we’re always adding more as our dojos grow. If you’re ready to start enjoying a Keller TX karate dojo that has your best interest in mind, this is the perfect place for you. Call Tiger-Rock today to begin your transformation! 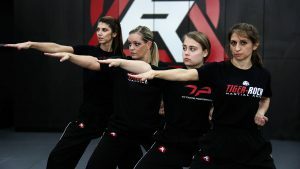 Finding the right Keller TX Self Defence Classes is more important now than it has ever been. It’s absolutely critical for every Texan to develop the skills they need to protect themselves when faced with danger. If you’re trying to make sure you have a way out when you require it the most, contact Tiger-Rock today for more information. Our certified instructors are ready to give you the help and guidance you need to start mastering the training regimens we have for you. As part of the Tarrant County, Keller is one of the best cities in Texas. The Dallas-Fort Worth area is easily accessible. You’ll be able to experience the metropolitan way of living very easily when you live here. In the 1850s, our settlement was first created. While we were initially only known for cattle raising, trading, and farming, we’re continually improving. The 1950s were when our city truly started coming into its own. Joseph Knox was our first mayor, and we were officially incorporated into Texas once that happened. Make sure you pick the right community for you. If you want the small city charm mixed with big city convenience, Keller is the perfect place.